Only read if you are helping people who are in the middle of grief. Nancy said to talk about sorrow. Several of our friends are in the middle of loss. I was planning to tell you about two new books. As it turns out, the books are about grief, which is close to sorrow. So I’ll tell you about the books. One is by my friend Jason. Jason is a tree guy. He’s paid attention to trees for a long time. One of the things that he has seen is how trees deal with loss. He knows what happens when a tree is lost out of a group of trees. He has paid attention to how one tree responds when a tree next to it is lost. I use his ideas often when talking to grieving spouses, grieving friends. And this week, Jason made the book he wrote, How Trees Deal with Loss, available through Amazon. I’d encourage you to listen to Jason talk about how trees deal with loss in a video from the Parkview Life Channel (a project that I’ve been privileged to help with). Then consider buying a copy. Or three. 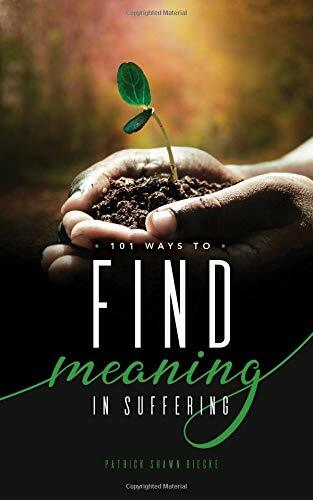 Another friend, Patrick, published his second book: 101 Ways to Find Meaning in Suffering. He talks about things that we can say, actions that we can take, and gifts that we can give as we are in the middle of pain, or helping others. I’m not sure I’d say that Patrick is a grief guy like Jason is a tree guy, but as a pastor and chaplain, he’s paid attention. You can listen to Patrick talk about finding meaning in suffering in another Parkview video. And while talking about grief, for class on Thursday, I had students read from my Lent book about Martha and Mary and the way he responded to their grief over the death of their brother. “These two interactions with these two women are perfectly suited to what we know of the women. The sense of perfectly appropriate response is genius, pure emotional intelligence genius. A prayer for the 7th Sunday of Epiphany and any day we fret.